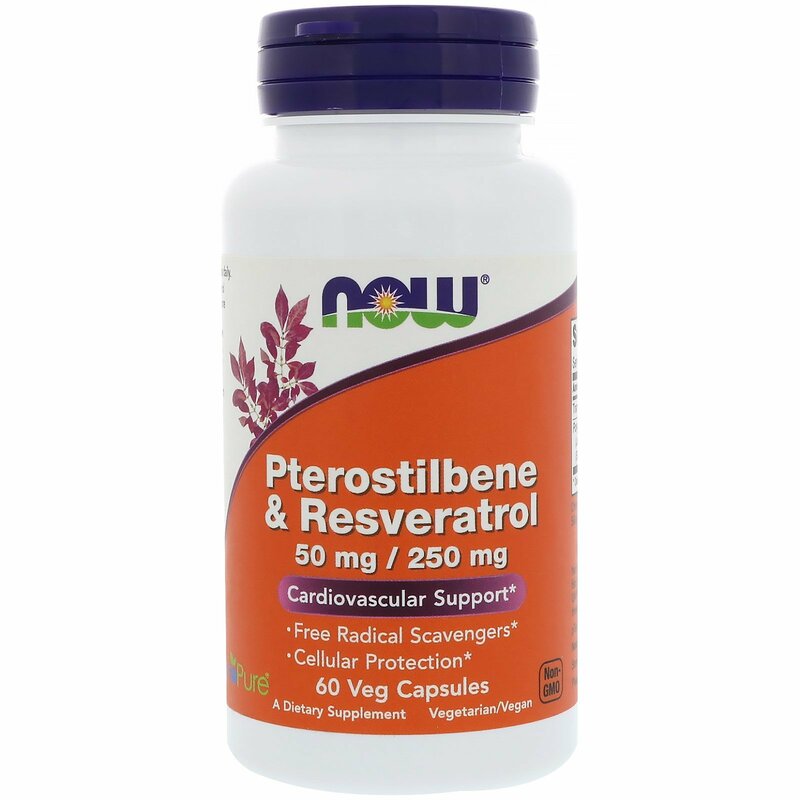 Pterostilbene is a naturally occurring polyphenol closely related to Resveratrol. It is, however, more readily absorbed and utilized by the body. 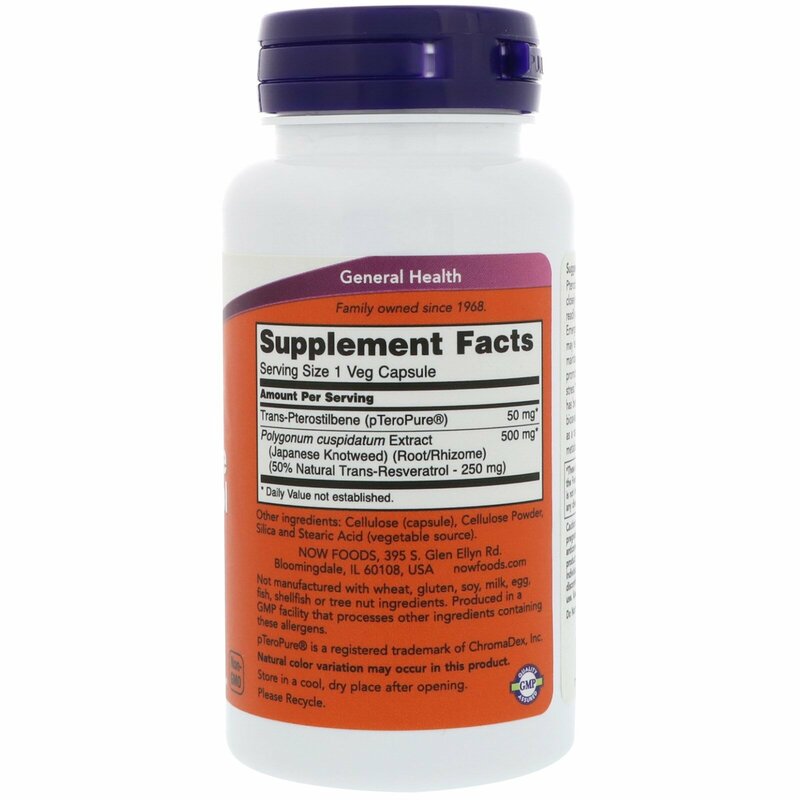 Emerging research suggests that Pterostilbene may help to support healthy vascular function, maintain proper cell cycle regulation, and can promote a healthy response to normal cellular stress. 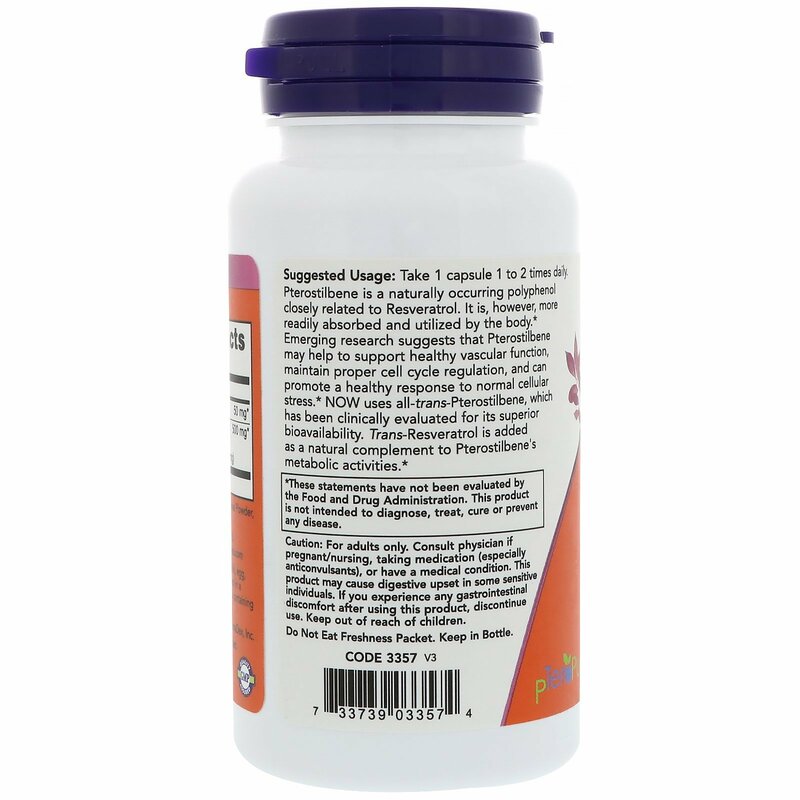 NOW uses all-trans-Pterostilbene, which has been clinically evaluated for its superior bioavailability. Trans-Resveratrol is added as a natural complement to Pterostilbene's metabolic activities. Take 1 capsule 1 to 2 times daily. Cellulose (capsule), cellulose powder, silica and stearic acid (vegetable source).